The Almirós and Soúrpi plains were already inhabited in prehistoric times. 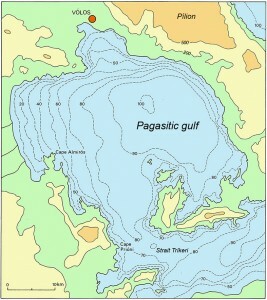 In all probability, the Pagasitic gulf is a young inland sea and may have been a plain in Paleolithic times. 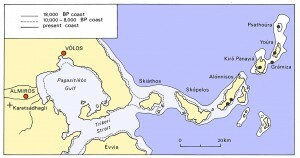 Between 18,000 and 9,000 BP the sea level rose and the penisula of the Northern Sporades was transformed into a chain of islands. 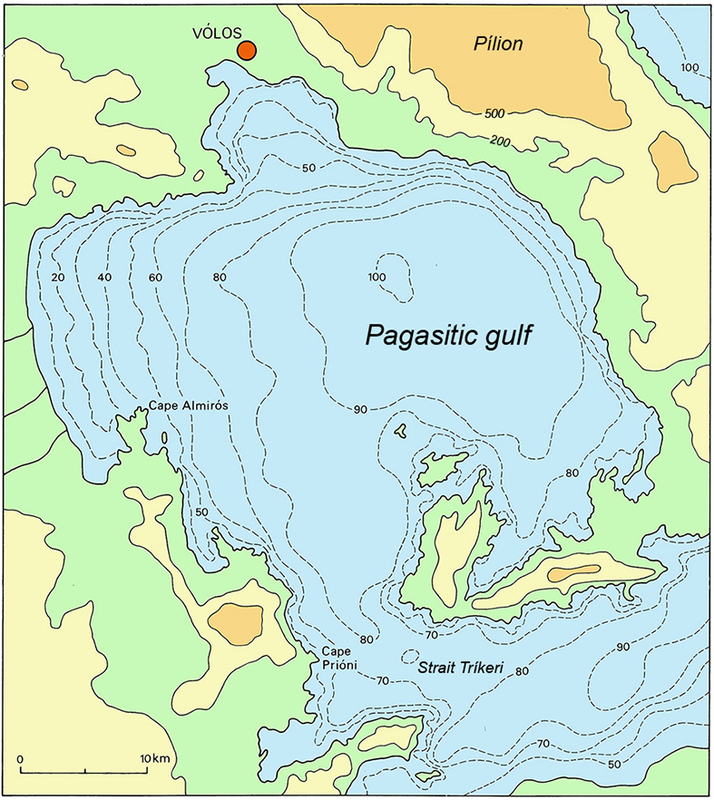 Separated from the Tríkeri strait by a ‘shallow’ with a depth of 70 meters, the Pagasitic gulf nowadays is 100 meters at its deepest. 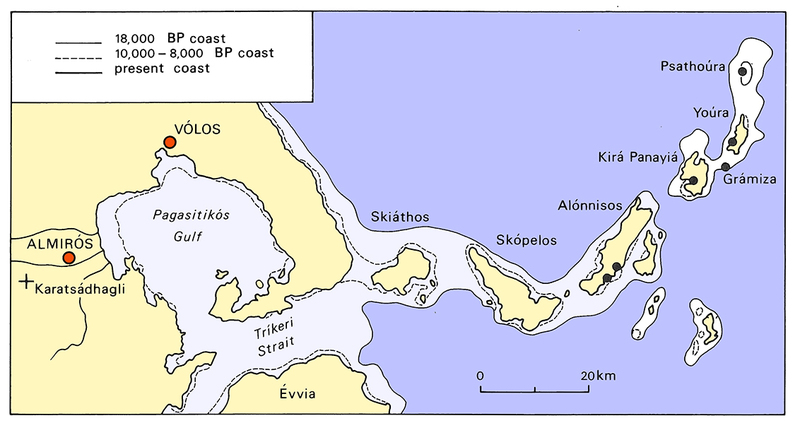 This Pagasitic plain was likely attractive to Paleolithic hunters and the shores of an assumed inland lake must also have been inviting for fishing, until the sea level rose to the level of the Tríkeri ‘shallow’ and the Pagasitic basin was flooded. So far, no sites of Paleolithic hunter communities have been found, but these may be in the caves that are under water now or under sediments along the eastern coast of the Almirós plain.